WASHINGTON — WikiLeaks has published thousands of documents that the anti-secrecy organization said were classified files revealing scores of secrets about CIA hacking tools used to break into targeted computers, cellphones and even smart TVs. The CIA and the Trump administration declined to comment on the authenticity of the files Tuesday, but prior WikiLeaks releases divulged government secrets maintained by the State Department, Pentagon and other agencies that have since been acknowledged as genuine. In another nod to their authenticity, the chairman of the House intelligence committee, Rep. Devin Nunes, R-Calif., said he was very concerned about the release and has sought more information about it. The hacking tools appeared to exploit vulnerabilities in popular operating systems for desktop and laptop computers developed by Microsoft. They also targeted devices that included Apple’s iPhones and iPads, Google’s Android cellphones, Cisco routers and Samsung Smart TVs. Some of the technology firms said they were evaluating the newly released documents. 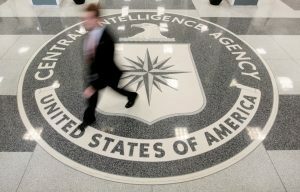 WikiLeaks said the material came from “an isolated, high-security network” inside the CIA’s Center for Cyber Intelligence, the spy agency’s internal arm that conducts cyber offense and defense. It said the documents were “circulated among former U.S. government hackers and contractors in an unauthorized manner, one of whom has provided WikiLeaks with portions of the archive.” It did not make it clear who was behind the leak, leaving several possibilities: espionage, a rogue employee, a theft involving a federal contractor or a break-in of a staging server where such information may have been temporarily stored. How many files were leaked? What period do they cover? Are these legitimate CIA documents? A spokesman for the CIA said the agency would not comment “on the authenticity or content of purported intelligence documents.” Trump administration spokesman Sean Spicer declined comment as well. But WikiLeaks has a long track record of assembling and releasing secret files from the U.S. and other governments. Security experts who reviewed the material said the documents appeared to be authentic. Jake Williams, a security expert with Georgia-based Rendition Infosec, who has dealt previously with government hackers, said that frequent references in the files to operation security gave them the stamp of legitimacy. “It rings true to me,” Williams said. The files do not describe who the prospective targets might be, but the documents show broad exchanges of tools and information between the CIA and National Security Agency and other federal intelligence agencies, as well as intelligence services of close allies Australia, Canada, New Zealand and the United Kingdom. The documents also include discussions about compromising some internet-connected televisions to turn them into listening posts. One document discusses hacking vehicle systems, appearing to indicate the CIA’s interest in hacking recent-model cars with sophisticated on-board computer systems. How are technology firms responding to these revelations? Left: The lobby of the CIA Headquarters Building in Langley, Virginia. Photo by REUTERS/Larry Downing/File Photo .